Thursday, May 2, departing at 12:45pm (12:15pm from the subway). 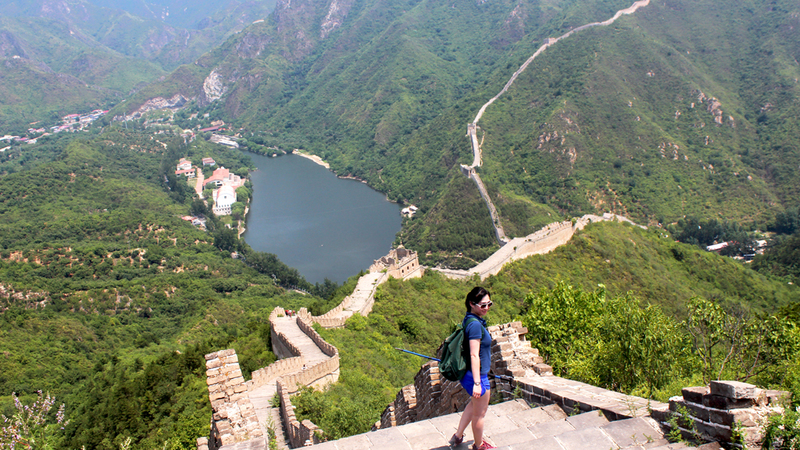 In Brief: Hike the Great Wall in the afternoon, and then see the sun set from a lookout point on the wall above the Huanghuacheng Reservoir. The Great Wall at Huanghuacheng. It’s here where we’ll watch the sunset, which will happen around 7:06pm. Bring some extra clothes with you so you can stay warm while you wait. This hike will only be cancelled or postponed if rain (or thunder/lightning) is forecast for the evening. Otherwise we’re good to go. If there was a change to the plan we’d let you know. 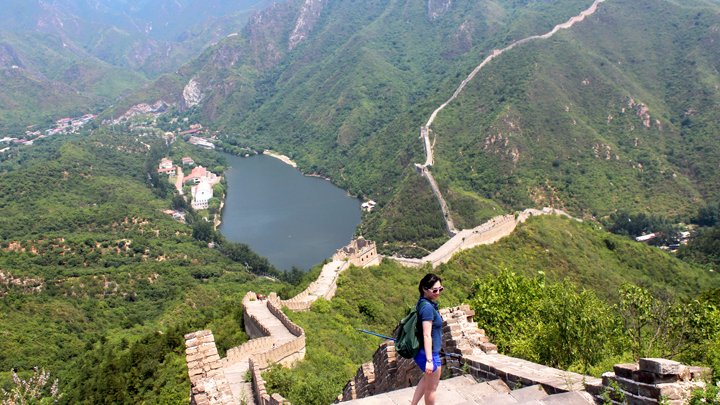 An afternoon hike could feel pretty tough on a hot day, and there’s not a lot of shade on the Great Wall. 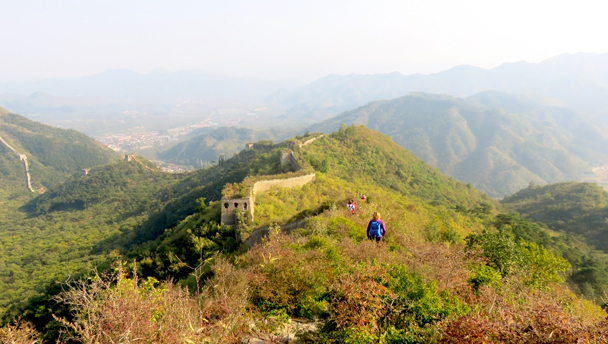 The views of the mountain scenery and sunset on this Great Wall hike were just awesome—blue skies, high clouds, and just a little haze—see 18 photos from the sunset over the Huanghuacheng Great Wall. The sunset was somewhat spoiled by slightly smoggy skies, but we still had a great sociable walk on the wall—see 17 photos of Great Wall and early evening views at the Huanghuacheng. During the Mid-Autumn Festival holiday we hiked the Huanghuacheng Great Wall in the late afternoon, and watched the sunset from atop the wall—see a set of 19 photos. Take a look at our favourite photos from our October trip to see the sunset over the Huanghuacheng Great Wall.